Harper Lee’s To Kill A Mockingbird soared to the top of the bestseller’s list upon its 1960 release with its groundbreaking portrayal of racial injustice. Its messages of tolerance, justice, dignity, and courage continue to remain important today. 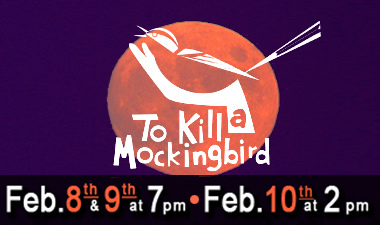 Mainstage Center for the Arts will bring a beautiful stage adaption of this timeless tale to life as it presents To Kill A Mockingbird, directed by Marge Triplo and Nick Zaccaria.